A heart-thumping, edge-of-your-seat adventure comes to light in this exhilarating family film based on the best-selling novel by Jeanne Duprau. For centuries, the residents of the underground City of Ember have flourished in an amazing world of glittering lights and quiet contentment. But when the City’s massive power generator begins to fail, the street lamps start to fade — along with the hopes and dreams of the townspeople. Now it’s up to two courageous teenagers to follow a trail of clues left by the ancient Builders and find a way out of Ember before their world is plunged into darkness forever! 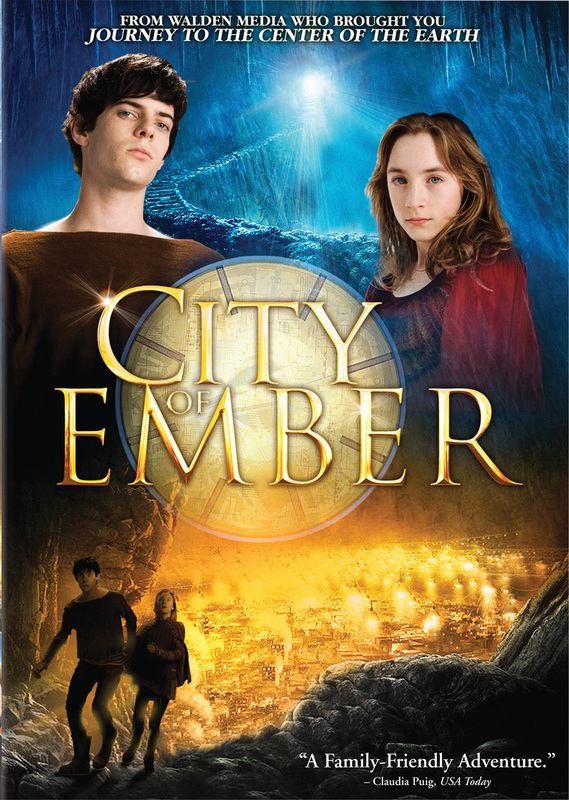 Featuring an all-star cast and crew of acclaimed talent that will light up any screen, City of Ember was produced by Emmy Award winner* Gary Goetzman (We Stand Alone Together) and Academy AwardÒ-winner** Tom Hanks (Forrest Gump) and stars OscarÒ-winner Tim Robbins (Best Supporting Actor, Mystic River), Golden GlobeÒ-winner Bill Murray (Best Actor, Lost in Translation) and Academy AwardÒ-nominee Saoirse Ronan (Best Supporting Actress, Atonement). This entry was posted on Sunday, January 18th, 2009 at 1:30 pm and is filed under Uncategorized. You can follow any responses to this entry through the RSS 2.0 feed. You can leave a response, or trackback from your own site.